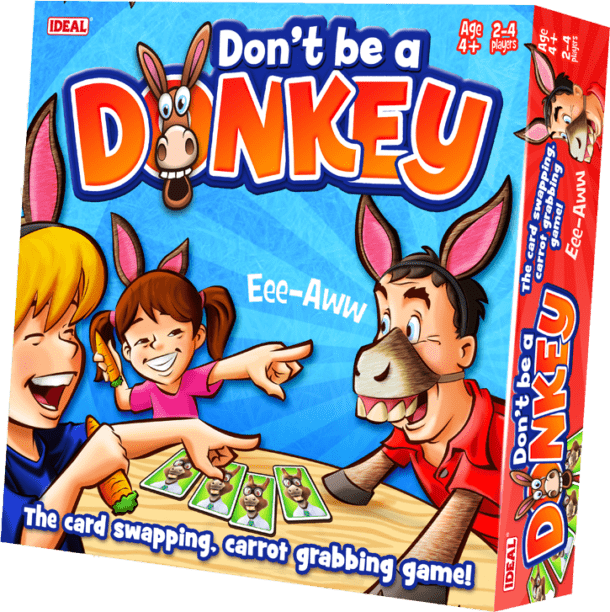 Don’t Be a Donkey is the fast-paced card swapping, carrot grabbing game! Can you get a full house of matching donkey cards then be fast enough to grab one of the available carrots? 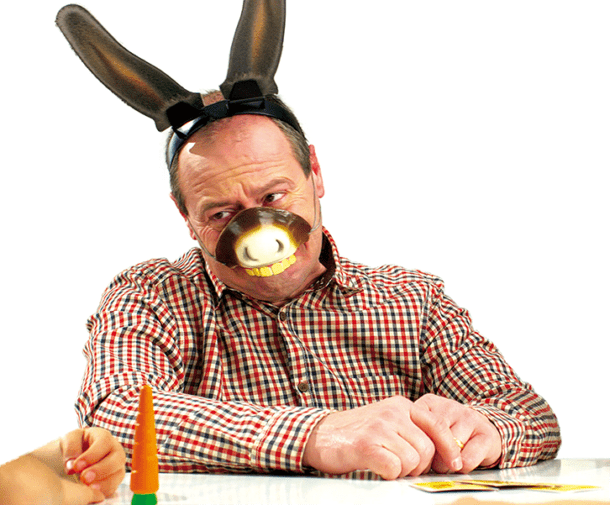 There are not enough carrots to go around, so if you’re too slow, you’ll turn into a donkey! All players choose a card from their hand and pass to the next player. 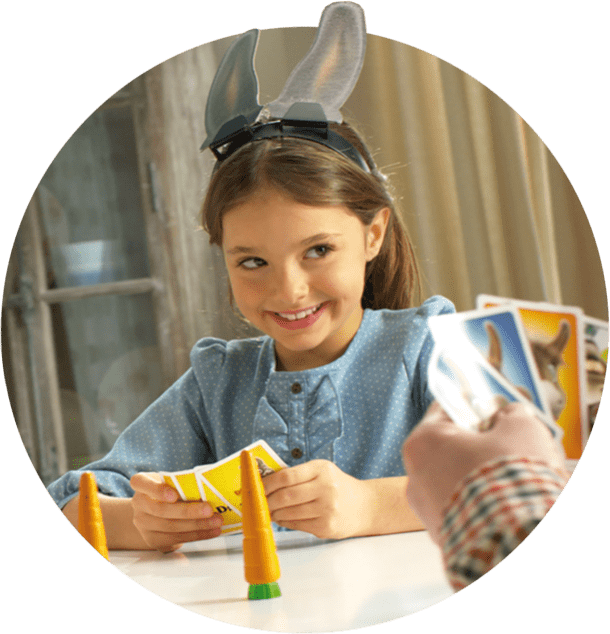 Keep swapping until someone gets a set of 4 matching cards. As soon as a player gets 4 matching donkey cards they shout DONKEY and everbody grabs for a carrot. If you didn’ get a carrot, you lift up one of your donkey ears. 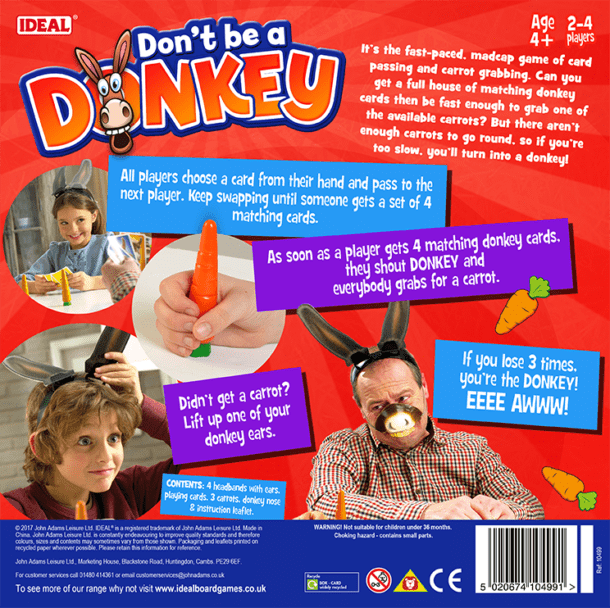 If you lose three times you become the donkey! EEE AWWW!